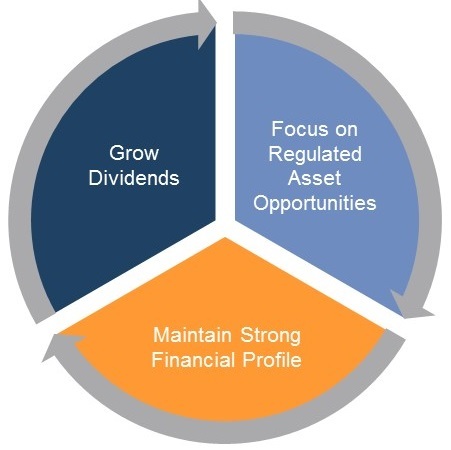 Focus on owning regulated assets with long lives, low operating risks and stable cash flows consistent with the characteristics of our current portfolio. Funding footprint projects through capital expenditures in our existing service territory. These are driven primarily by investments to improve reliability, meet customer requirements and support oil and gas activities in the Permian Basin and interconnections to our CREZ assets. Acquiring ROFO projects and other projects from Hunt. This includes a pipeline of projects identified, developed and constructed by Hunt. Acquiring other regulated assets from third parties leveraging the relationships that InfraREIT, Sharyland and Hunt maintain in the energy industry to source acquisition opportunities. Focus initially on Texas and the southwestern U.S., where we believe the regulated electric sector will continue to grow. This allows us to leverage our existing relationships and a proven track record of identifying, developing, constructing and acquiring critical infrastructure assets. Maintain a strong financial profile that enables us to increase our dividend over time and serve the long-term interests of our stockholders.